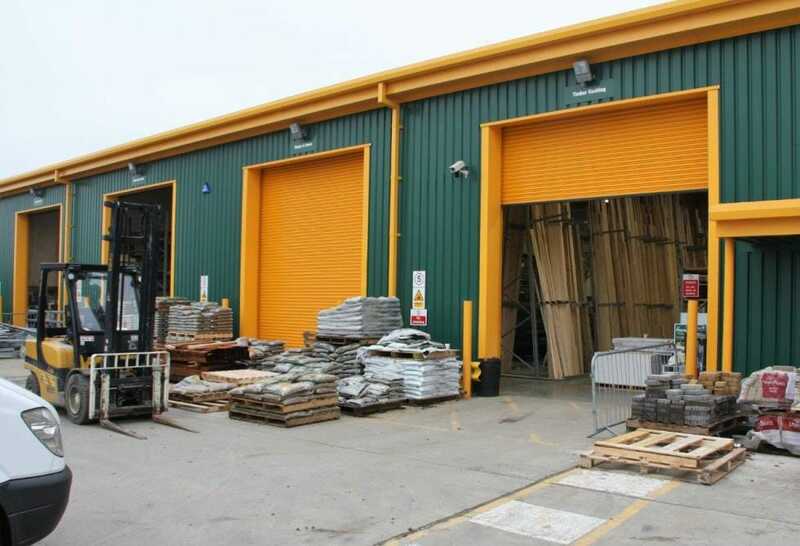 Our Rollashield RD100 range is designed to offer a high quality, strong and efficient security solution where thermal or acoustic insulation is required. 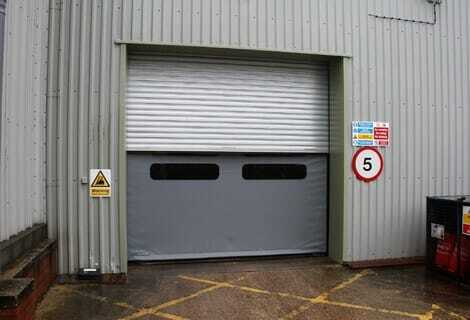 The roller shutter is formed from a double-walled steel profile which is filled with insulation. 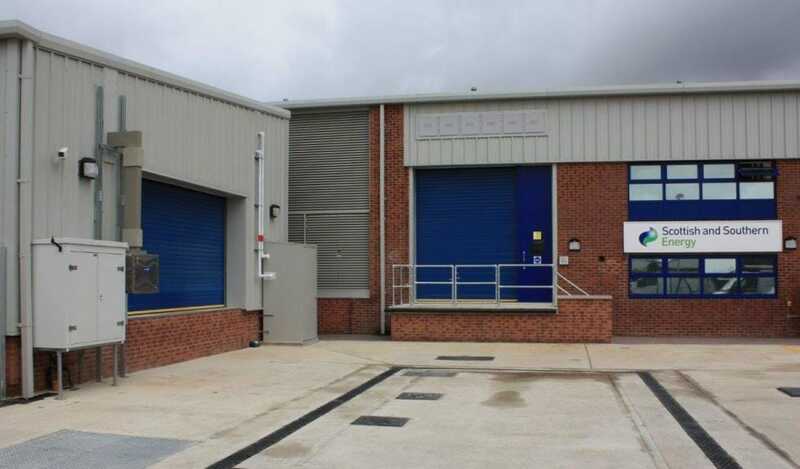 The shutters give a neat, tidy appearance when finished and are available in galvanized, powdercoated or Plastisol finishes and can have double glazed polycarbonate vision panels. These doors have an ecologically friendly high density injected foam infill to give a good insulation value, helping to conserve energy. The range is also available as fire-rated (Rollashield RD100F), with high security anti-cut inserts (Rollashield RD100S) or with a high-speed direct-drive motor (Rollashield RD100HS). This allows Rollashield 100 to be suited to specialist applications – for example with a high level of wind resistance or exceptionally high security. 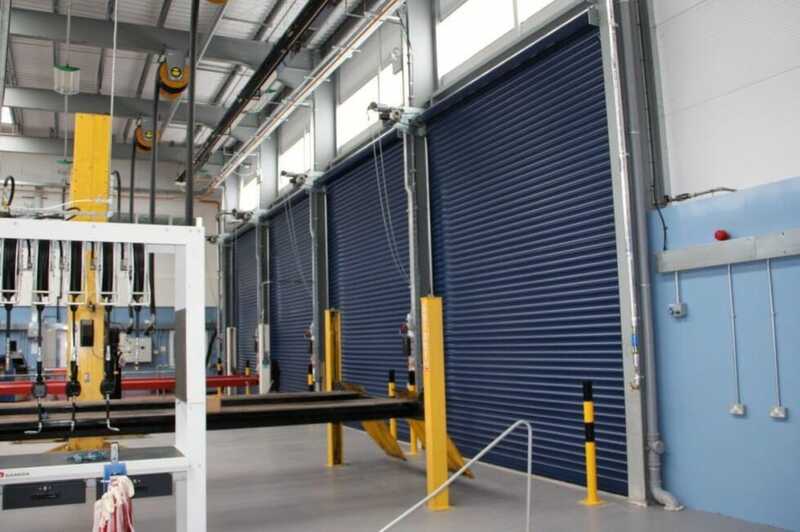 The shutters are electrically operated by 415V 3-phase motors and a range of control options are possible with the range when installed, such as keyswitch, push button, group control, remote control, induction loop and radar sensor. 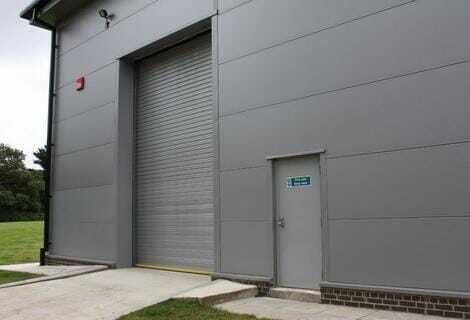 Rollashield 70 steel industrial shutters are constructed from heavy-duty 75mm, curved steel lath. 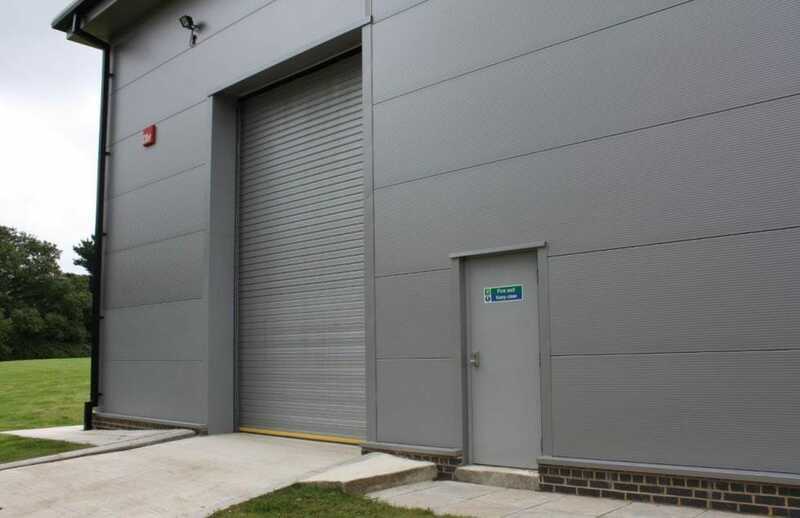 They can be manufactured to large sizes making them a popular, budget solution for applications such as non-insulated warehouses, workshops and agricultural buildings. 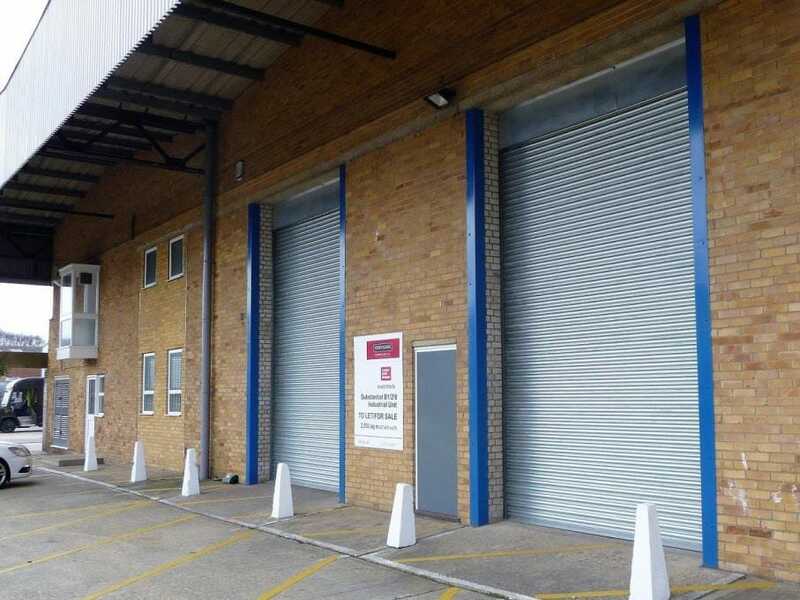 Rollashield RD70 shutters are available in standard galvanised finish or are in a large range of powdercoat or Plastisol colours. 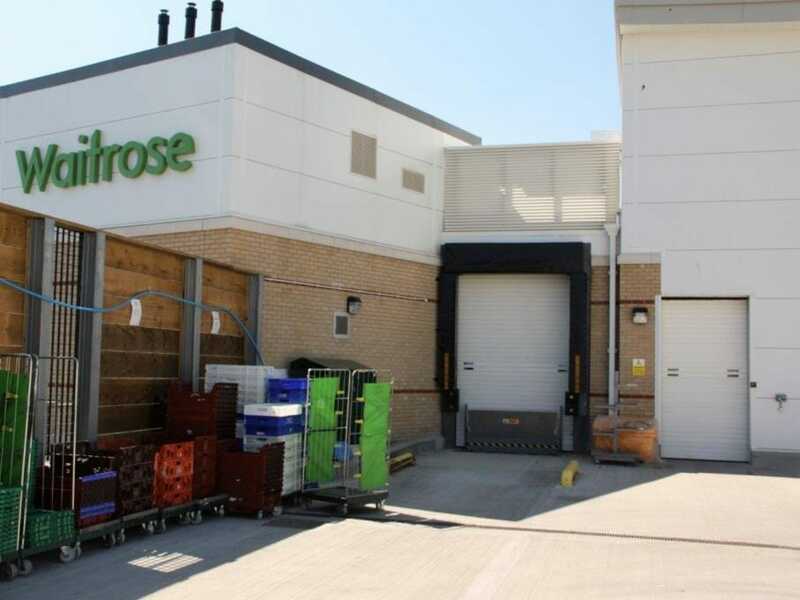 They can have motorised operation by 3-phase direct-drive motors, and a wide range of automation options such as remote control, key switch, rocker switch and group control can be utilised for ease of operation. 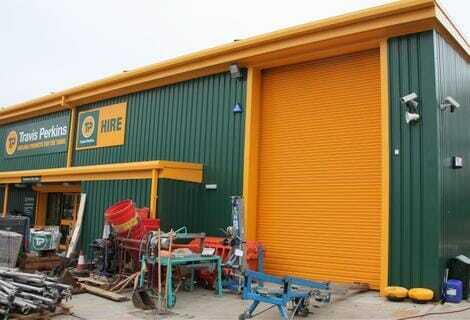 If preferred, shutters can alternatively be manually operated with a chain hoist. 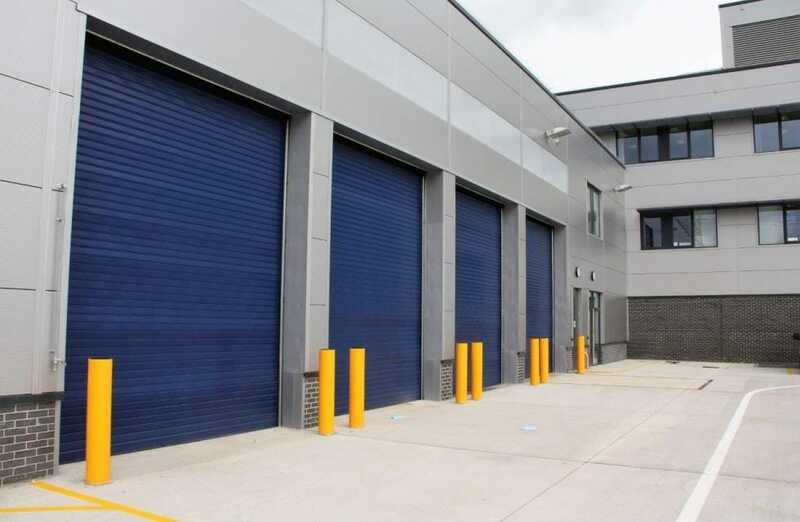 Rollashield RD70 shutters can also be used for applications such as light-duty car parks and are available with punched or perforated slats (Rollashield RD75).